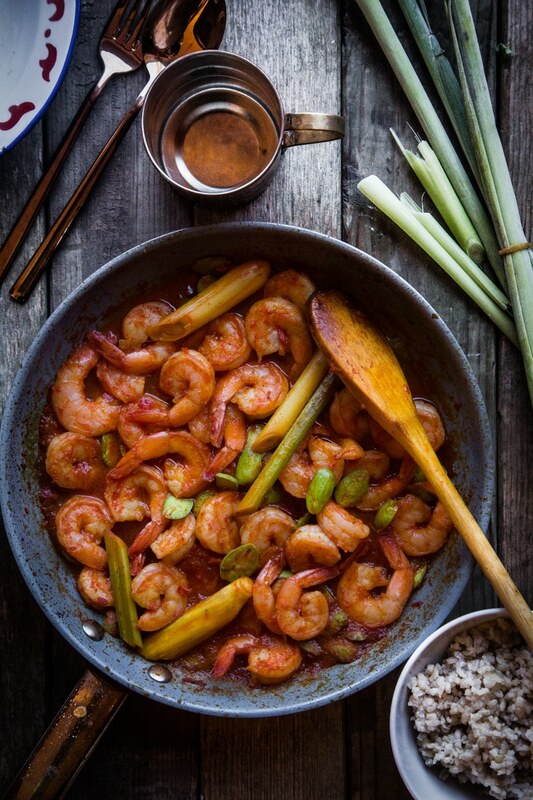 Shrimp is cooked in aromatic sambal sauce with distinct lemongrass flavor. 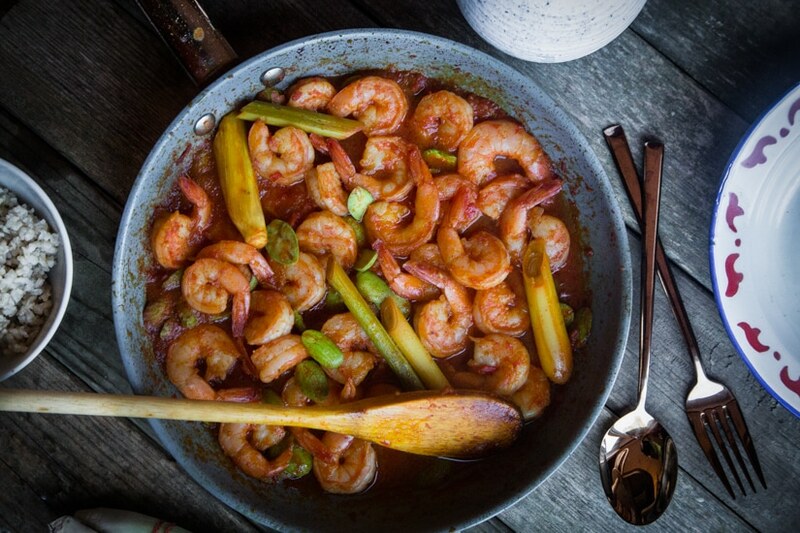 Stink beans are usually added to this dish but you can definitely make this dish without them. 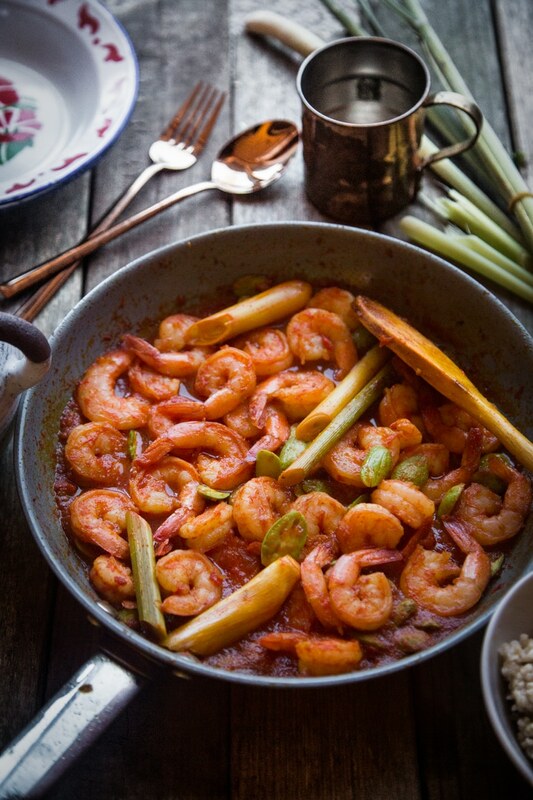 Shrimp with Lemongrass / sambal udang serai is one of my favorite recipes from mom. I love it so much. I finally found bitter beans/ stink beans/sataw beans. Biological name is Parkia speciosa. It is a plant of the genus Parkia in the family Fabaceae. It bears long, flat edible beans with bright green seeds the size and shape of plump almonds which have a rather peculiar smell, characterized by some as being similar to that added to methane gas. And you might be thinking …hmm….similar to methane gas? and are people suppose to eat these beans? Well, these Petai beans are definitely not for the faint of heart lol! It’s either you like them or you don’t. I LOVE them. I’m OBSESSED with them. 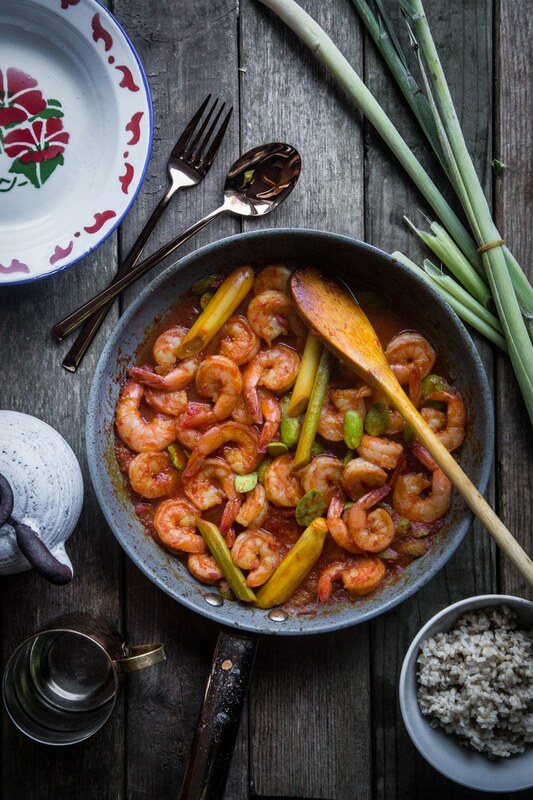 Nevertheless, if you don’t like stink beans, you can still make this delicious sambal udang serai without the beans. You can even adjust the level of spicyness to suit you. I can eat huge portion of rice with just the sambal !!! It’s addicting. Hi Adina. It’s kinda of you either like them or you don’t kinda thing. 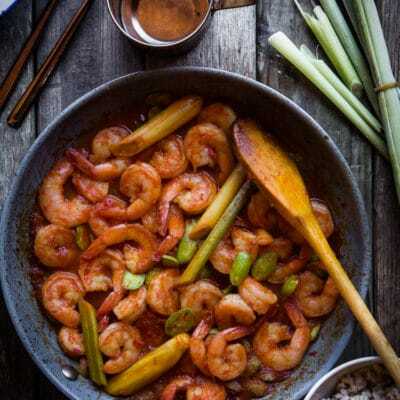 I’m so happy to know that you like the kung pao noodles with shrimp!